Hello everyone! Today I have a layout to share for Paper Issues. 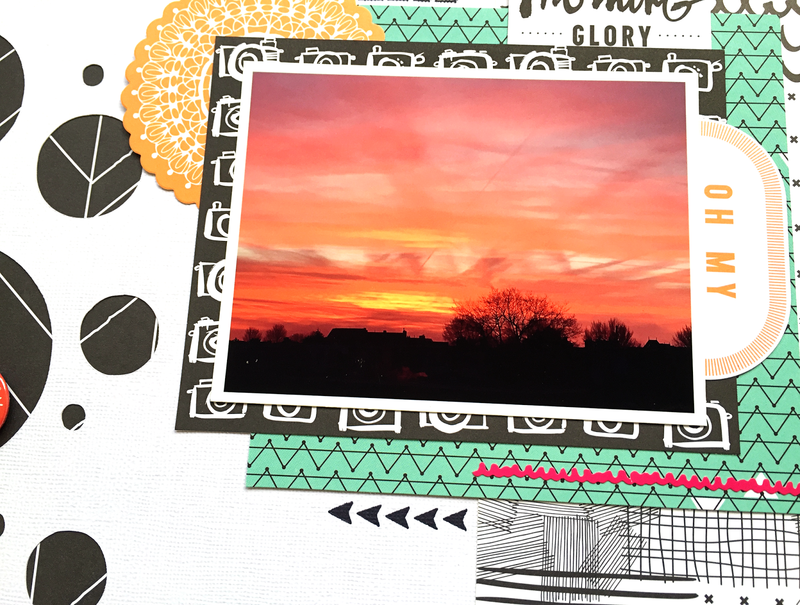 For the background of my layout I used the Peek-A-Boo cut file designed by our own Sherri and you can download it for FREE overhere. The last week I've done a huge purge in my scrapbook stuff to make room for all the new product that is coming soon. 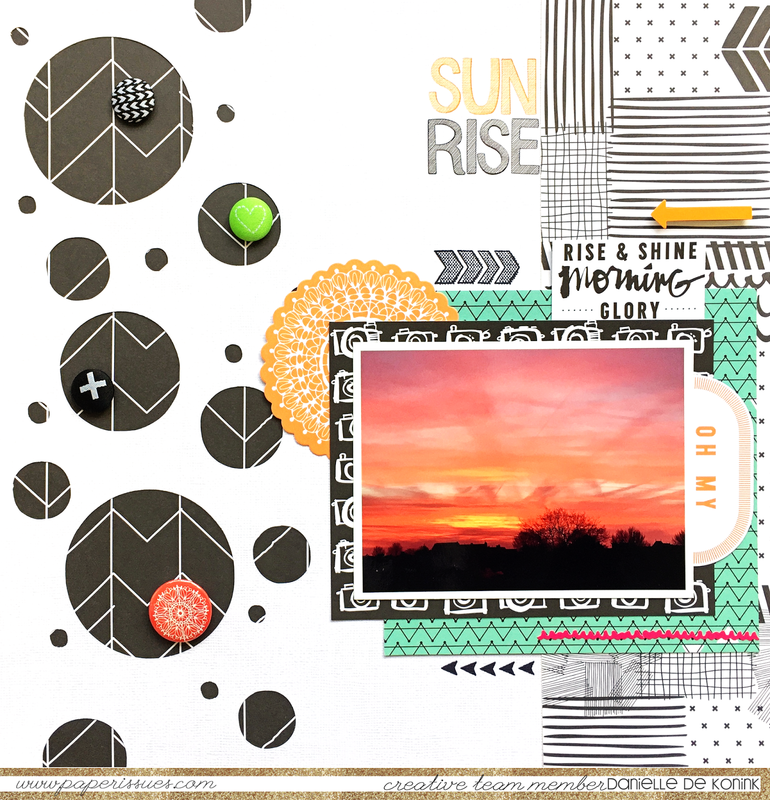 There was just one collection that I had to make one more layout with: Amy Tangerine's Plus One. I still love this collection so much and there's still some of it available in the Paper Issues store! I'm also going to link up this layout at our current linky party, which is sponsored by Paper Camellia. We would love for you to join us! Link up your project(s) overhere and you might be our lucky winner of the Paper Camellia March main kit! 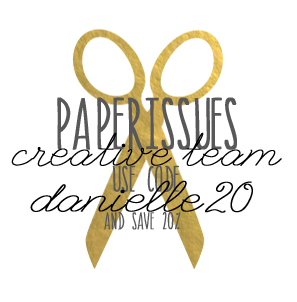 Keep an eye on the Paper Issues store, new products are coming in very often and you don't want to miss out on all the yummie-ness. Use code DANIELLE20 for 20% off your entire purchase! Gorgeous layout! 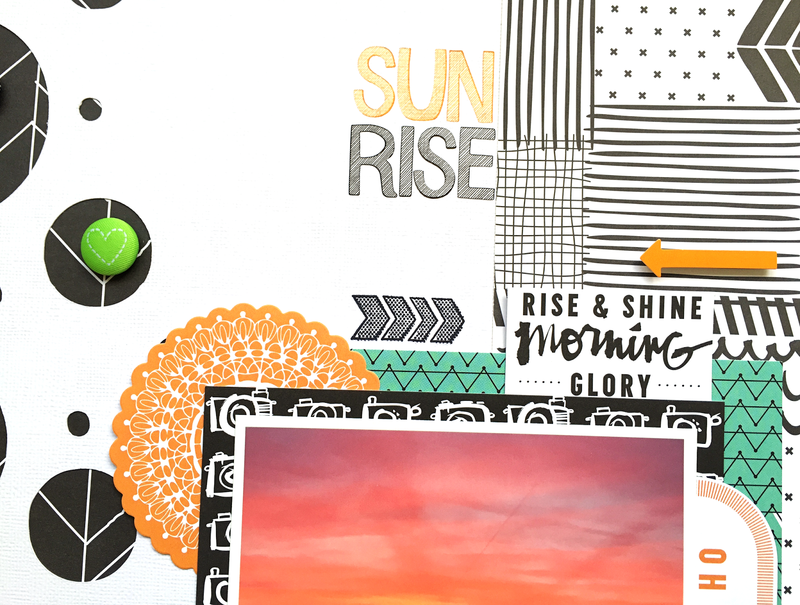 Love all the black and white papers - they complement that beautiful sunrise perfectly! 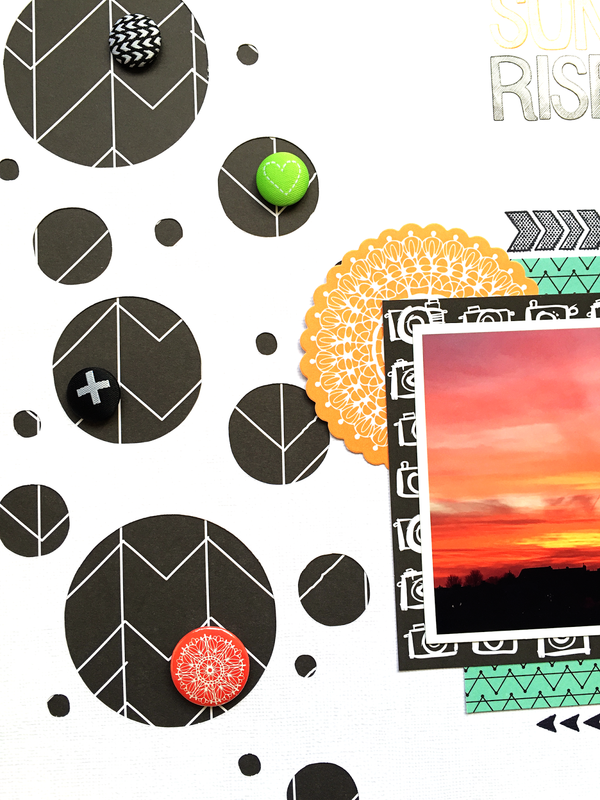 Love the contrast of the Teal paper behind your photo Danielle! It really makes it pop! Love the contrasting colours and the design, great layout!